“Easy-believism,” the idea that being a Christian is easy and requires very little of us, is a crisis in the local church, in the United Methodist denomination, and in the culture at large. Yet today’s scripture speaks against easy-believism in a few important ways. I talk about two of those ways in this sermon. Many of you have used Uber. I never have. I know it’s very popular. In case you don’t know, it’s like a taxi service, except the drivers aren’t taxi drivers; they’re just regular people in their regular cars. You have an app on your phone when you need a ride somewhere. Uber recently released its “Lost and Found Index,” a humorous report on the forgetfulness of its passengers—i.e., the items that passengers forgot about and left behind in Uber vehicles. For example, the most frequently forgotten item, unsurprisingly, is the cell phone. The second most frequently forgotten item is a ring. That’s surprising… although as someone who tends to take off my wedding band and fiddle around with it—including spinning it like a top on tables—I guess it shouldn’t be that surprising. It spins really well! Keys, wallets, and glasses round out the Top 5. A surprising number of wedding dresses are forgotten in Uber vehicles. Either God sanctifies us—or it doesn’t happen at all! Is your assumption that the pope is referring to some before justification or after? I take his meaning to be at the moment of or after. At the point of justification one would then be simultaneously progressing in a state of sanctifying grace. That would be most Wesleyan. Otherwise it’s purely Lutheran and therefore holiness or justification has little if nothing to do with your progress in holiness since it doesn’t require your participation, i.e., it’s all imputed. But suppose you die moments after being justified and born again. On what basis are you fit for heaven other than Christ’s righteousness—imputed or not? 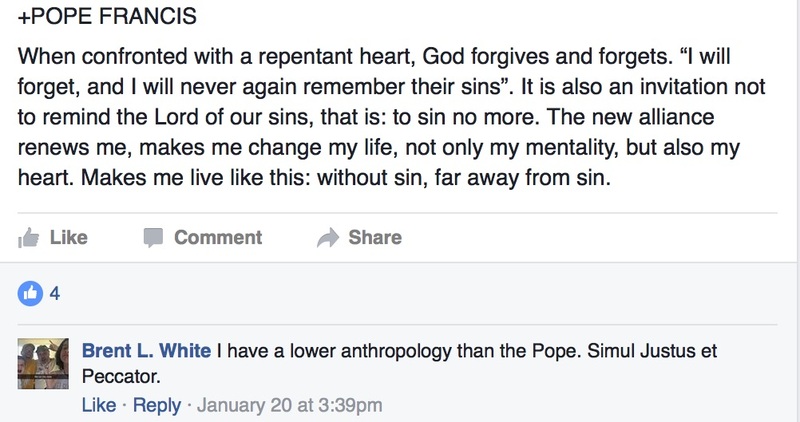 Certainly not your own “holiness,” such as it is. I don’t think the imputed righteousness of Christ negates personal responsibility. But I also don’t think that sanctification is ever more than our saying “yes” to God’s grace, just as we do when we are justified. Grace is still grace. Our participation, whatever it is, isn’t something of which we get to be proud. Sanctification isn’t “we do a little, then God does a little,” although I agree that’s how it’s popularly understood. The truth is, I have become slightly more Lutheran and more Reformed in my theological perspective. (Of course, I had already been indoctrinated in Augustine by Candler’s only conservative professor [at the time], Lewis Ayres, so I wasn’t far from this perspective—at least as soon as I started believing the Bible again). If that makes me less comfortably Wesleyan, so be it. But Wesley wasn’t too far from this. Didn’t he compare sanctification to respiration: God breathes in, we breathe out? What we do is very small compared to what Christ did and the Holy Spirit does. So twice my friend referred to our “progress” in holiness and implies that it’s something that we do, or something for which we’re (mostly? 50-50?) responsible. From my own experience, talk of “progress” in the Christian life makes me nervous. We are not sanctified by what we do! God is going to have to do the sanctifying in our relationship with him, or it won’t happen at all! We often have similar experiences where we feel this close. We had great plans, and we almost got there, but now the hope of deliverance seems too good to be true—and now it’s back to the old life. In those moments of regress or failure, nothing quite pegs our identity like shame does. It becomes the way we self-describe. The “Who am I?” framework only shows us what we aren’t: an ineffective employee. A failed father. A basket case. A pervert. Your shame has the power to terminally name you. Sure, Jesus-loves-me-this-I-know and all that—but what about here and now? What about this sea of shame? Let me interject here to say that my clergy friend’s notion of “progress” as something we accomplish, even in part, does nothing but contribute to this “sea of shame”—at least in my experience. (His mileage may vary.) I need to be reminded again and again of God’s grace. In Christ, you are God’s treasured possession. As part of His family, you are the beloved first-born son. Rather than receiving the wrath of Pharaoh, the chaos of the sea is the moment of His salvation. Naturally you’ve forgotten that and have placed an old shame back onto your shoulders again, but it was never yours to lug around in the first place. As Jesus says, “My yoke is easy and my burden is light.” In Christ, you are clothed in righteousness and when God sees you, there is nothing more to be ashamed of. He sees the perfection of Jesus. 1. Matt Johnson, “January 24” in The Mockingbird Devotional (Charlottesville, VA: Mockingbird, 2013), 53. I hate to be an ecumenical wet blanket. I promise I’m not anti-Catholic. Even last month, I quoted extensively from the former Pope Benedict XVI’s excellent little book on Christmas, which I’d recommend to anyone. And I celebrate the many points of agreement between orthodox Protestants and Catholics. Let us entrust the new year to Mary, Mother of God, so that peace and mercy may grow throughout the world. And she must be able to read our thoughts: I assume a prayer that isn’t verbalized “counts,” for example, if the supplicant is unable to speak. How is that possible apart from omniscience? I hate to speculate, but what else can I do? I would turn to the New Testament for guidance from Paul and the other apostles, but there’s nothing there. Praying to the saints is an entirely extrabiblical practice. Regardless, apologists tell us that Catholics are only asking Mary and the saints to intercede on their behalf, nothing more. They don’t believe that the saints have any inherent power to answer any prayer other than the prayer for them to pray for us. But if that’s true, how do you explain the Pope’s recent tweet? How is it not idolatrous to entrust the future to any creature, rather than to Christ himself? What powers does Mary herself possess to enable peace and mercy to grow? P.S. “Mother of God,” from the Greek theotokos (literally “God-bearer”), was originally a Christological formulation, meant to communicate the full divinity of Christ: When Mary bore Christ, she bore God himself, because Christ was fully God. While I wouldn’t use the term myself, given how it’s prone to misunderstanding, there is nothing unorthodox about referring to Mary that way. Again, it says something about Christ, not Mary. Mother Teresa is going to be canonized by the Catholic Church. No surprise there—her soul-crashing doubts about God’s existence notwithstanding. Once the ball starts rolling toward sainthood, does it ever stop? Those two required miracles will be found, if the Vatican wants to find them badly enough… even if they have to find post-mortem miracles! Two miracles are generally required for canonization. Mother Teresa was beatified in 2003 after the Vatican concluded that an Indian woman’s prayers to the nun caused her incurable tumor to disappear. The second miracle involves a Brazilian man who suffered a viral brain infection that caused multiple abscesses, and eventually left him in a coma and dying. His wife had been praying for months to Mother Teresa, and on Dec. 9, 2008, as he was about to be taken to emergency surgery, she and her husband’s priest and relatives intensified their prayers. Praying to the saints offends me. It’s contrary to the biblical witness. By all means, intercessory prayer is commanded by Christ and the apostles in scripture, but as N.T. Wright once observed, “Why talk to someone standing outside the throne room when you can go directly to the One sitting on the throne?” I’ve never read or heard a satisfactory answer to that question—only appeals to a tradition that is, at best, centuries after the apostolic witness. Moreover, even granting the biblically unfounded idea that saints in heaven can hear our prayers to them, how are they now endowed with god-like powers—transcending time, space, and human limitations—such that, like God himself, they can simultaneously hear the prayers of potentially billions all at once? One theological answer, perhaps, is that God grants them these powers by his grace—through the Holy Spirit—but doesn’t that beg the question? If it’s only through God’s grace that these departed saints’ prayers on our behalf are efficacious, then who’s really doing the “miraculous” work here? In which case, since through Christ’s atoning work we Christians are now God’s beloved sons and daughters who are privileged to call God Father on the same basis as his Son Jesus, why not just pray directly to the Father? Even worse, in the case of someone like Mother Teresa, she’s credited for two miracles that she performed after she died! Literally. If I were Catholic and believed in praying to saints, on what basis would I pray to Mother Teresa, who, at the time, wasn’t even recognized as a saint? Were they guessing that she might be one, so they were praying to her just in case? It’s hard enough for me to pray to God without doubting that he’ll grant my petitions; what extra measure of faith would be required for me to believe that praying to someone who’s less than God will have any effect—especially doing so without biblical warrant! If it’s true that Pope Francis is ready to declare, during 2017’s 500th anniversary of the Protestant Reformation, that the Reformation is over, and Protestants of good faith are fully equal brothers and sisters, he must also declare that this issue is at least adiaphora—one over which we Christians can rightly disagree. See Anglican theologian Glenn Peoples’ blog post from July for more information on the tradition of praying to saints. 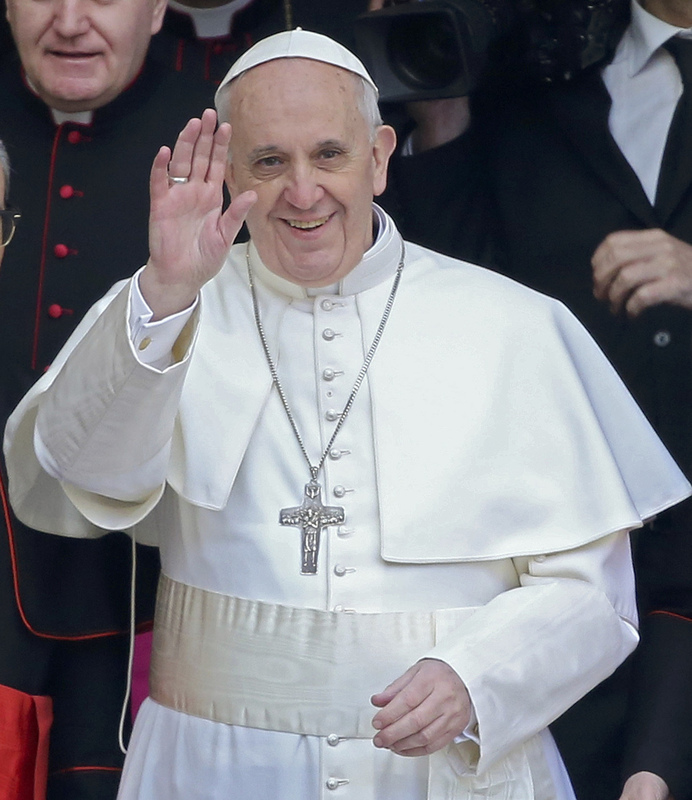 Will Pope Francis recognize essential unity between Catholics and evangelicals? Is this true? If so, that will make the 500th anniversary of the Protestant Reformation more interesting. The fact that it appears in a Catholic publication lends credence to it. If the Catholic Church will recognize our essential unity in the Spirit in spite of important differences over biblical and ecclesial authority, the Marian dogmas, and the meaning of Christ’s presence in the Eucharist, then I’m all for it. 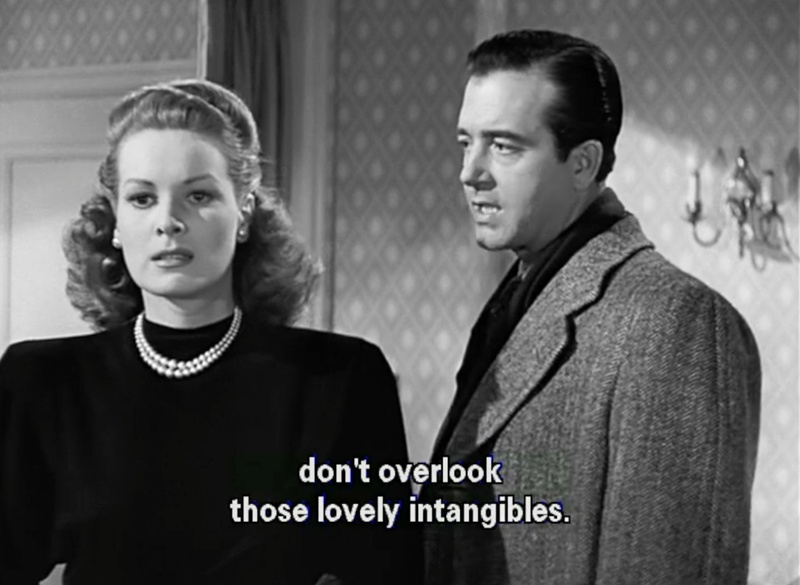 Miracle on 34th Street is an insightful movie about faith. Which is odd to say because while the movie, like many contemporary Christmas movies, is deeply concerned about the “true meaning of Christmas,” it never hints at what the meaning is. Still, the parallels between finding faith in Santa Claus and finding faith in Jesus are hard for someone like me to resist. Miracle speaks to our skeptical age. I hope this sermon does, too! The following is my original sermon manuscript with videos inserted in the proper order. Our movie begins on Thanksgiving, with the Macy’s Thanksgiving Day Parade. Before the parade starts, a man who calls himself Kris Kringle tries to give the Macy’s Santa tips on how to be a more convincing Santa Claus. 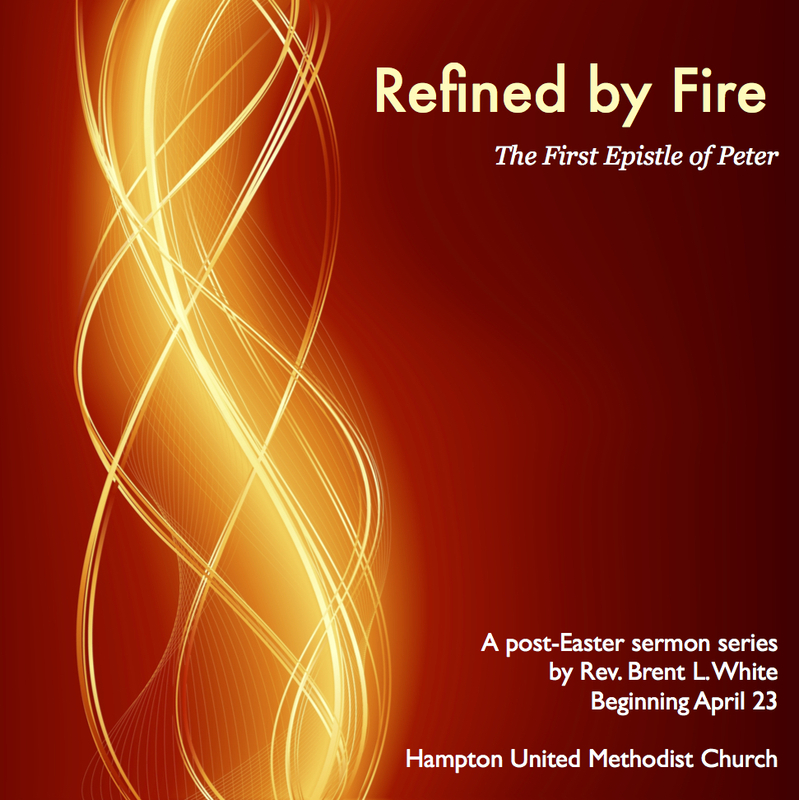 For the first time in nearly forever—I admit with shame—I’m going to preach, briefly, about the Second Coming. It ties into today’s message about Simeon and Anna in Luke 2:21-40: just as they were waiting for the first coming, we Christians are waiting for the Second Coming. What a marginalized doctrine this is for most of us today! I realize in decades and centuries past, some parts of the Church have overemphasized it, but it’s hard to see that many of us—especially Methodist preachers like me—are in danger of doing that today. What does this mean? It will be like the triumph of the prince of this world: the defeat of God. It seems that in that final moment of calamity, he will take possession of this world, that he will be the master of this world… You must obey the orders which come from worldly powers. You can do many things, beautiful things, but not adore God. Worship is prohibited—this is at the center of the end of time… [Once we] reach the fullness of this pagan attitude…truly the Son of Man will come in a cloud with great power and glory. If Pope Francis is talking about the Second Coming and signs of the end, good heavens, why aren’t I? 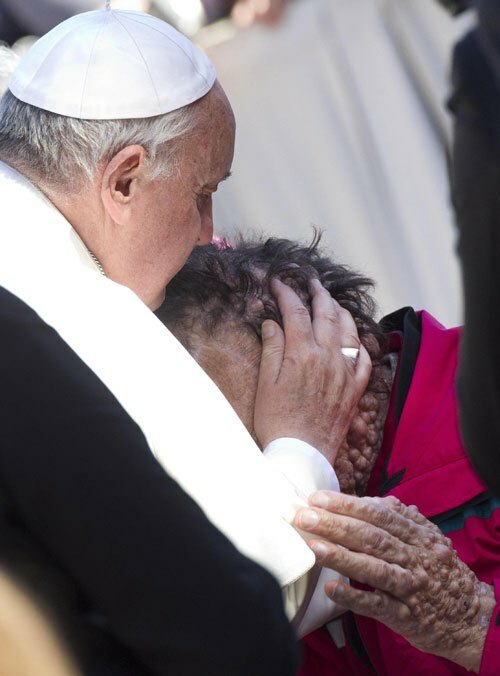 Pope Francis blesses and kisses a man with the “Elephant Man disease,” neurofibromatosis. Just this… from Archbishop Cranmer’s blog. Visiting St Peter’s Square, most of us would shun this poor wretch because of his Elephant Man-like appearance. We would certainly decline to share a communion chalice with him, for fear of some unknown contagion. But, like his namesake St Francis of Assisi, this Pope abjures his royal palace, lives in a guest house with his brothers, and prays deeply – quite movingly – for a modern-day leper. Indeed, the Pope kissed the carbuncles upon this poor man’s deformed forehead. Humility and holiness in action. Some will say it is prophetic – a sign of profound faith in a superficial world of beautiful people and bright young things. But it is simply what we all ought to be doing – manifesting the self-emptying love of Christ and transcending the narrow confines of the world. Love does not solve life’s problems: it helps us to cope with them. It brings perspective and confers order. Faith working through love is creative and redemptive. 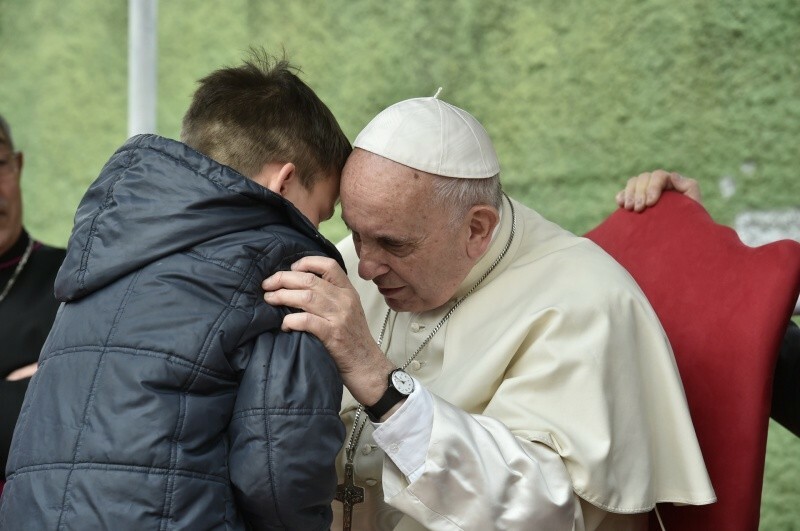 Pope Francis acts for that poor distorted being because he has an appreciation of that being. Such love is the fruit of God’s presence within us. Please note that His Grace refers to Francis’s “self-emptying love,” a reference to the very scripture I’ll be preaching on this Sunday. 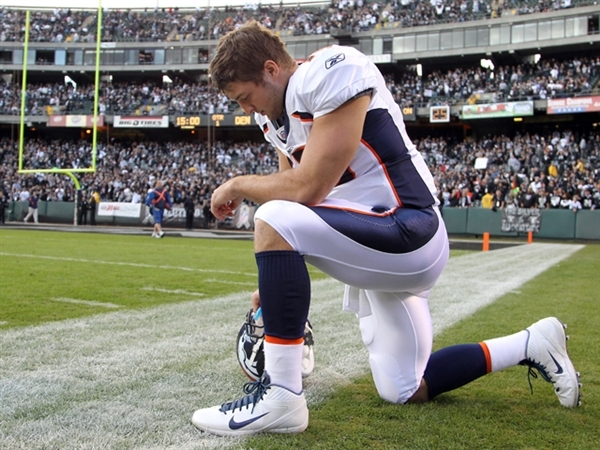 Do you worry that God has bigger things to worry about than a football game? Don’t. One of the challenges many Christians face when it comes to prayer is believing that God cares enough to hear from us about our “small” problems. Yet, if the first words that Jesus gives us to pray are true—”Our Father”—then we have no reason to doubt. God is not less of a father than any human father. Quite the contrary! This sermon encourages God’s children to pray, and to do so with boldness. Michael Bleecker leads worship at a megachurch in Texas. On Twitter, he recently asked his fellow worship leaders around the world to document some of the theological blunders they’ve accidentally made while leading worship or singing in church under the hashtag “#worshipheresy”. Of course, yours truly has never made mistakes when I preach or pray! Yeah, right! I once preached a sermon on Noah, and throughout the entire sermon I referred to him as “Jonah.” Or vice versa.